More Light, More Air, More Space — more enjoyable living! Premium German Bifolding Doors by Solarlux. The use of glass in architecture creates boundaries and facilitates communication between indoors and outdoors. Create individual living spaces, wide-open and flooded with light, which remove the barrier between inside and out and improve the quality of life and your living space. 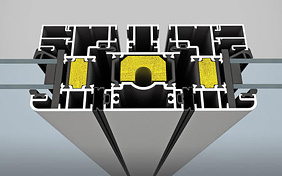 They are constructed whole in Germany, complete with frame, doors, glazing and ironmongery, ready-hung for installation. 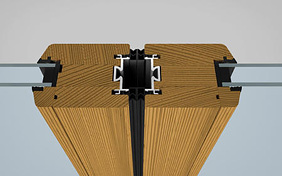 Each door is custom-made to your size and requirements. 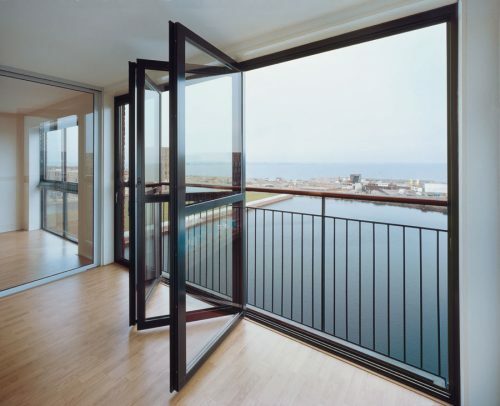 Solarlux doors are precision engineered to a class-leading standard. They are independently tested to 1200PA (approximately 100 mph) and remain water-tight beyond that. The SL80 has been tested to failure at 3000Pa (a typical tropical hurricane is about 2400Pa). 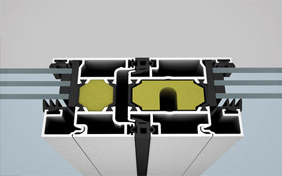 All Solarlux doors are thermally broken on the whole system, including the threshold. The class-leading U-values are provided on the whole unit, not just the door panels, so that you know exactly what you are getting. U-values range from 1.4 for the standard SL60e with double glazing down to 0.79 for the SL79 with triple glazing (subject to specification). Solarlux take security very seriously, and all models are tested to the rigorous European RC2 standard. The SL60 and SL80 also have Secure by Design, a British standard created by the Association of Chief Police Officers. Some manufacturers require evidence of a rigorous maintenance regime to qualify for warranty. 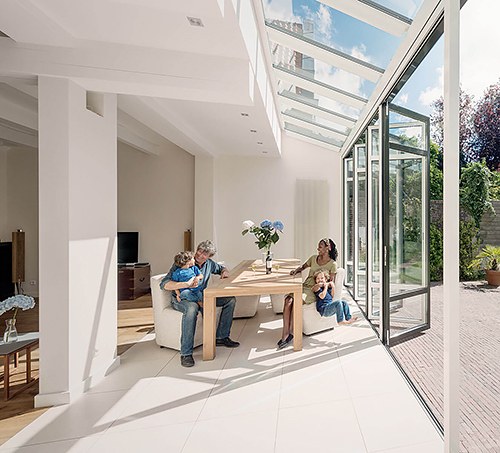 Spectrum provide a no-quibble Solarlux-backed warranty. As one of the elite Solarlux 'Active Partners', we are also able to offer an enhanced warranty. 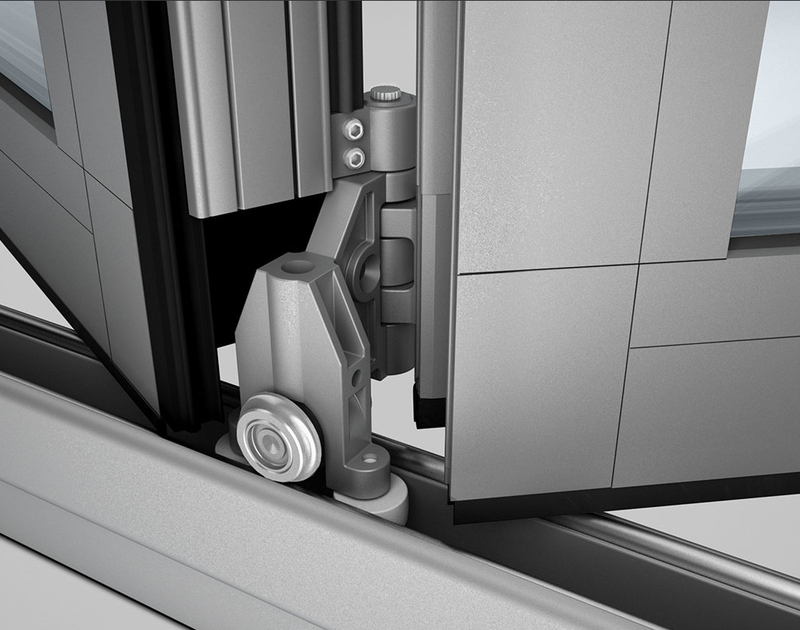 You expect your bifold doors to slide effortlessly from the day one. But you also want them to be equally effortless 10 years later. 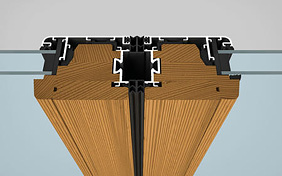 The stresses on a bifold door are considerable — and only doors engineered to such a high standard will last the distance. 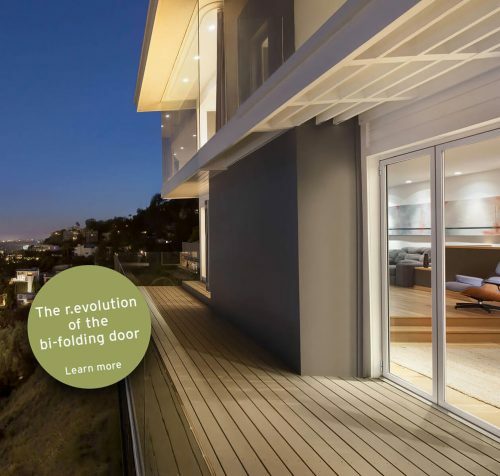 Solarlux doors are tested to 20,000 cycles — the equivalent to opening twice a day, every day for 27 years! 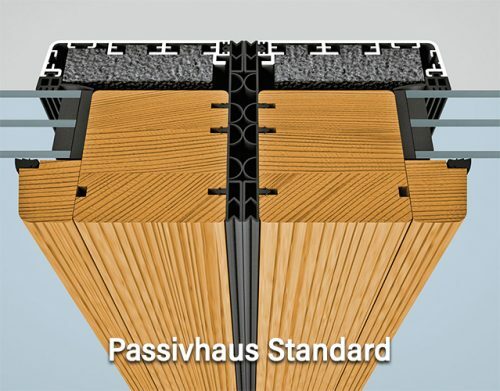 The Solarlux SL97 has a U-value down to 0.79 and meets the standard for Passive House installations. "r.evolution of the bifold door"
Our standard bifold doors, aluminium inside and out, with a choice of double or triple glazing. Choice of thresholds. 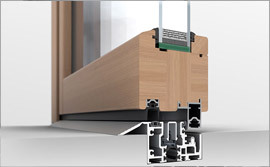 Timber/Aluminium bifold doors with high thermal efficiency and with a choice of double or triple glazing. Choice of thresholds. Solid timber bifold doors. 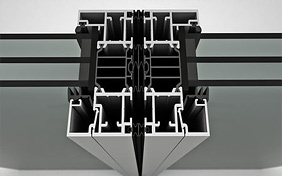 The frames have an aluminium core (with thermal break) for exceptional strength and rigidity. Double or triple glazed. Choice of thresholds. High thermal efficiency. Slightly more heavy-duty than the SL 60 and can have wider door panels. Slimmer sightlines and deeper section. Choice of thresholds. A extra large door which is suitable for large-scale applications — the SL 70 can be specified in heights up to 3.5m. 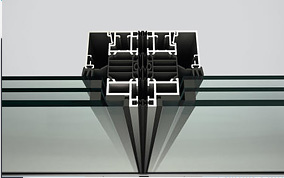 The award-winning SL 82 has an "all-glass" look and appears virtually frameless. 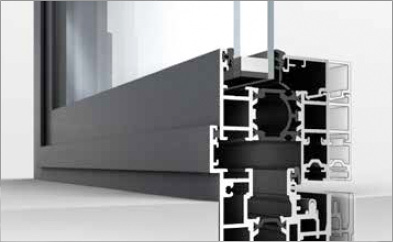 In spite of being a mere 8 mm in width, the aluminium surround provides optimal edge protection for the glazing. . 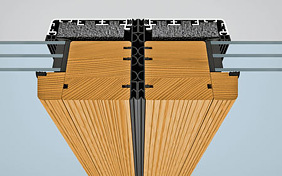 Timber with Alumnium on the outside for weather protection and low-maintenance. 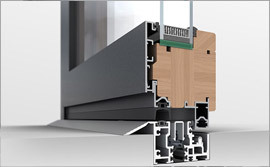 Timber provides good levels of thermal insulation..
Our most thermally-efficient bifold door. 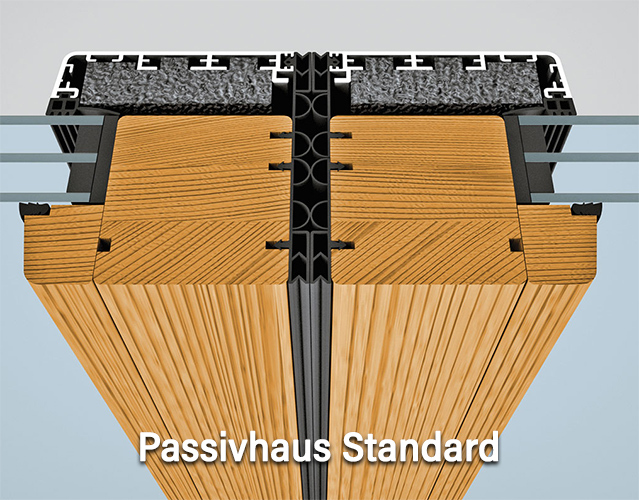 The SL 97 can be used in passive house projects. Note: thresholds rebated only. Solid wood on the inside and outside. Available in meranti (a durable hardwood), spruce, pine or oak. Choice of thresholds. 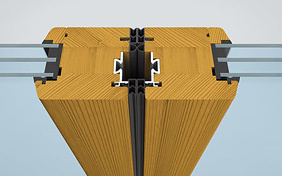 Solid wood on the inside and outside, triple-galzed for thermal performance. Available in meranti (a durable hardwood), spruce, pine or oak. Choice of thresholds.